Are you frustrated with your garage space (or lack thereof)? Many people are confused and overwhelmed when it comes to their garages. At California Closets of Nashville, we see the garage as a valuable extension of your home. 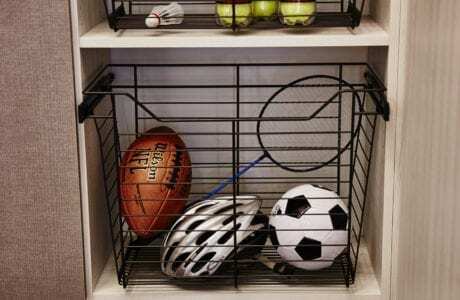 If designed correctly, it's the optimum space to store all of your seasonal items, outdoor wear, and more. 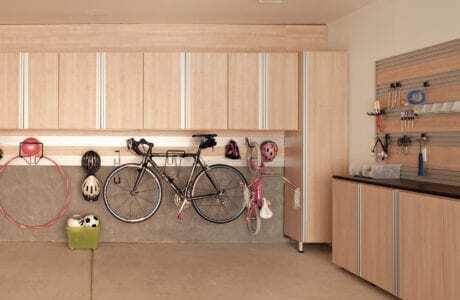 Fusion Trak Wall System- Hang bikes, tools and more with this off-the-ground solution. Baskets- Store balls, gardening supplies and helmets. Shelving and Cabinets - Store away anything you don't want shown with our beautiful cabinetry. Get the most out of your closet garage by scheduling your complimentary in-home design consultation today.